Dr. Raja Rizwan Ahmed an Urologist by profession completed his MBBS from Liaquat University of Medical and Health Sciences Jamshoro. He did his Internship and 2 years General Surgery training from Civil Hospital, Hyderabad then joined Indus Hospital for training of FCPS in Urology. After successfully completing his 4 years training in Urology he was awarded fellowship (FCPS Urology) from College of Physician and Surgeon Pakistan. 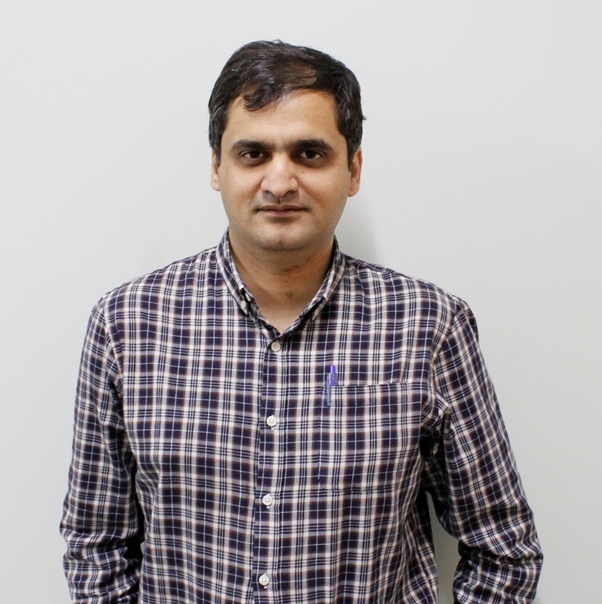 He then joined SIUT as a lecturer for one and half year where he worked as an Adult Urologist, he also covered satellite centers in Sukkur and Mehrunisa Korangi, Karachi every two to three months. During his tenure at SIUT he was offered two years training in transplantation from Head of Middle East Society of Organ Transplantation (MESOT), so he joined Hamed Al Essa Organ Transplant Center, Kuwait for training in transplantation and vascular access. During his training he was an active member of surgical team and was involved in all types of vascular access surgeries as well as live and deceased donor kidney transplantation. Dr Raja Rizwan is an expert in General Urology, Vascular Access and Kidney Transplantation. His areas of expertise in Urology are endo-urological and open procedures. In the field of vascular access of Hemodialysis, he is expert in Arteriovenous Fistula, Arteriovenous Grafts and Perma-caths. He is also a well-trained Renal Transplant Surgeon. He is currently part of the transplant team of The Kidney Centre. His responsibilities are to select patients for kidney transplantation, involvement in pre-transplant workup, intra-operative procedure and post-operative care.